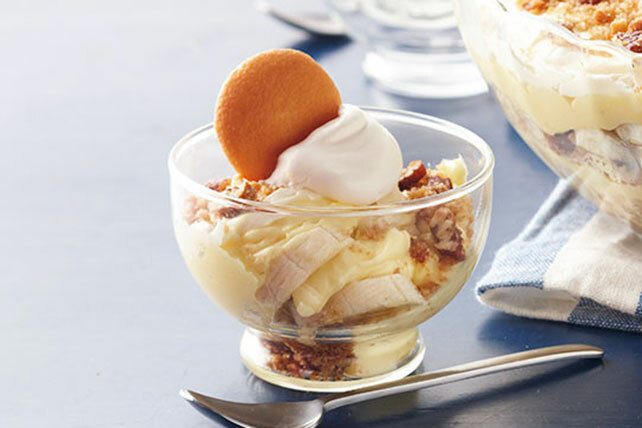 Deep-Dish Layered Banana Pudding As if banana pudding weren't luscious enough on its own, we've gilded the dessert lily and layered it with vanilla wafers and a sweet pecan topping. Layer ⅓ of the crumb mixture and half each of the bananas and pudding in 2-qt. bowl; repeat layers.